Who doesn't adore a load of loveable lizardy dinosaurs dragging their tails through a bland, generic desertscape - especially when said dinosaurs are endearingly retro, carefully sculpted models? Back in the day, Toyway (known now for filling the Natural History Museum gift shop with awful tat) produced a range of postcards with just such a subject matter...and here are some of them. Happy New Year! May 2017 be kinder to us all. 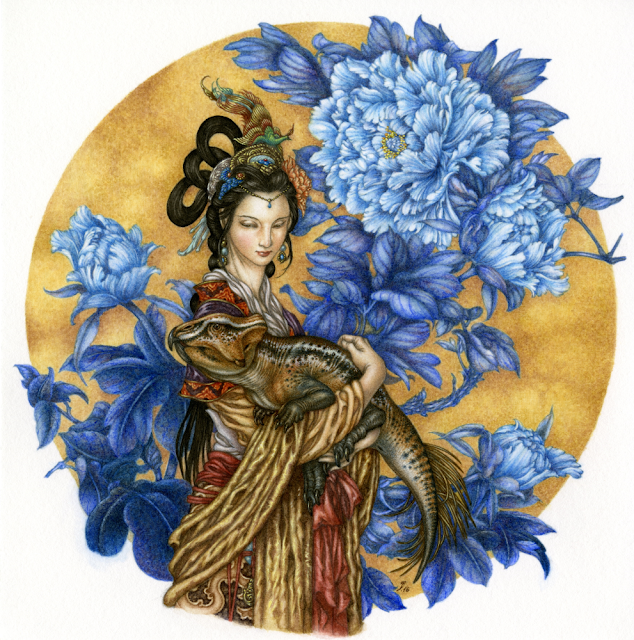 I promised our regular reader, Andrew Stück, that I would post this piece, after he commented that it's been a while since my saurian incongruities were last seen on the blog. So here we are! Happy new year! This month, after 90 installments over five years, Mesozoic Miscellany has evolved into a new form. 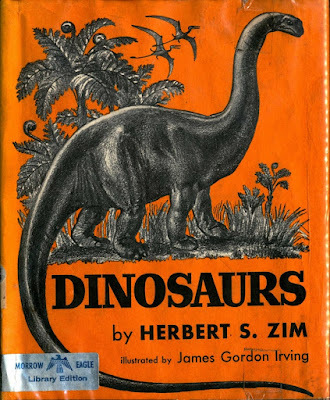 The intent of these round up posts will be the same, but now they'll have a more fitting name: This Mesozoic Month. As the name implies, I plan on keeping to a monthly schedule so I can include fresher, and hopefully more, news of the mesozoical persuasion. 2016 ended with a bang, so let's see what made the rounds on blogs, podcasts, and the media. The big news in December, and let's face it, 2016 as a whole, was the discovery of a fragment of a feathered theropod tail trapped in amber. With this specimen, we have physical evidence of how the tail feathers of non-avialans attached to the spine. It's the kind of paleontology story that hits the media with a big splash. I know I've had a few people ask me about the story, and not just on-line. Read more from Andrea Cau at Theropoda, Liz Martin-Silverstone at Musings of a Clumsy Palaeontologist, NatGeo, Daily Kos, The Verge, CNN, Science, Washington Post, New York Times, the Guardian, and NPR. As a nice little surprise, Brian Switek popped up on The Skeptic's Guide to the Universe to chat about this and more. And that's not all we've received recently from Burmese amber. Also published this month was the discovery of an Aleocharine beetle dating back to 99 mya, almost doubling the previous oldest specimen of the family. These rove beetles are parasites of eusocial insect colonies, and this specimen is contemporaneous with the oldest known eusocial termite colony. Tidy! Read more from Entomology Today. One of the happiest pieces of news in December was President Obama's creation of Bears Ears National Monument, protecting the vital paleontological resources within, and in part Robert Gay is to thank. Read his story on how he advocated for the protected status. Body fossils of cephalopods are exceedlingly rare, but at Laelaps, Brian Switek has the story of a beautiful Jurassic octopus, Proteroctopus ribeti. A biomechanical study of the skulls of Camarasaurus and Plateosaurus finds that the former was capable of stronger, more efficient bites, while the latter was adapted for closing its jaws quickly, suggesting that greater efficiency in feeding could be part of the story of how sauropods got so large. Read more from Jon Tennant at the PLoS Paleo Community blog. More news from the prehistoric chomping beat: a new study finds that Didelphodon had the strongest bite force relative to body size of any mammal yet studied. Brian Switek tells all at Laelaps. During the Turonian, the Earth was a freakin' sauna. At a North Pole that never got much colder than 57° F/ 14° C, a newly described bird called Tingmiatornis arctica dove for its dinner. Read more from the New York Times and Scientific Reports. New research as part of the Chicxulub drilling program has found that soon after the great asteroid impact 66 million years ago, the phytoplankton Braarudosphaera and dinoflaggelate Thoracosphaera colonized the impact site. Read more from Sarah Kaplan at the Washington Post. Writing for the Inverse, Jacquelyn Ronson has penned a terrific paean to paleoart. 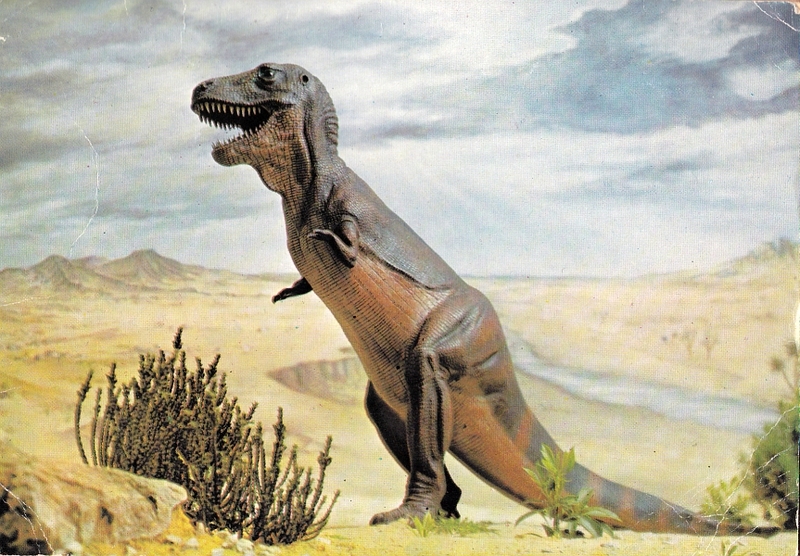 She speaks with paleontologist Don Henderson, who recently worked with Bob Nicholls' famous "Double Death" piece, in which two mighty Carcharodontosaurus play tug of war with a sauropod. "For Henderson, bringing these extinct creatures back to life through art isn’t secondary to the science, it’s fundamental to it." The Dinosaur Toy Blog recently reviewed a rather impressive - and pretty large - Amargasaurus figure. Shaena Montanari was interviewed on the Female of the Species podcast, discussing her Dinosaur Doctors outreach efforts, writing science for Forbes, and more. Rebecca Groom recently added a pretty awesome Ichthyosaurus enamel pin to the Palaeoplushies shop! Here's where to pick one up. For Saurian's final Devlog of the year, the team shared their revised Triceratops sculpt and Chris Masna's design for Brachychampsa. I can't wait to play the game and hunt inadvisable prey animals. At the PLOS Paleo Community blog, Tara Lepore writes a guest post about a gathering celebrating the role of women in the SVP at the Society's 2016 conference. She writes, "Especially enlightening was the idea that although women comprise roughly half of the SVP membership, women do not always tip the scales in terms of invited talks." I've linked to it before, but also be sure to read Victoria Arbour's post on this very topic at Pseudoplocephalus. Poor, neglected Parksosaurus. Justin Tweet writes about the also-ran ornithopod at Equatorial Minnesota. 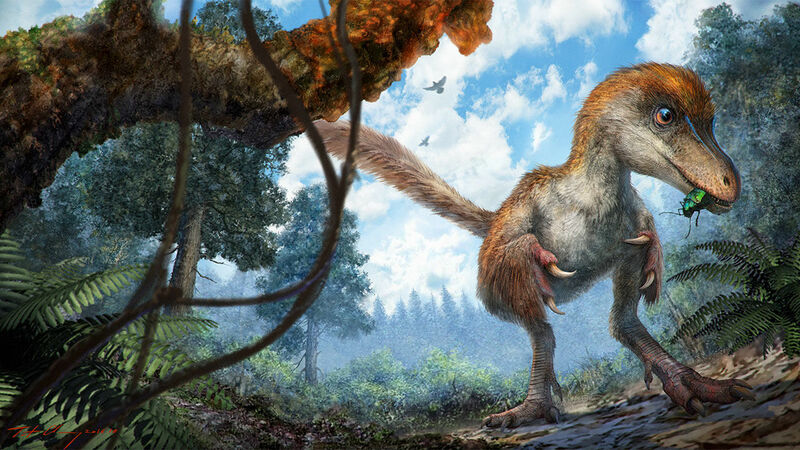 The large troodontid teeth that have been found on Alaska's north slope offer a tantalizing glimpse at a prehistoric environment in which relatively giant troodontids stalked snowy forests. Writing for Earth Archives, Pete Buchholz offers a great summary of what we know about the fauna of the Prince Creek Formation. Beautiful troodontid art by Julio Lacerda, as well. Also at Earth Archives, Dean Lomax writes about the value of old museum collections to science. He tells the story of the description of Ichthyosaurus anningae, notable not only for being named for Mary Anning but for also being the first time we've possibly seen sexual dimorphism in an ichthyosaur species. So, eight years ago, Cracked wrote an article that's pretty much Palaeofail 101, stuck hopelessly in the tar pit of awesomebroism. Responding to a recent reader question at Tumblr, Albertonykus ably and gleefuly dissects it. The original article may be an oldie, but the takedown is fun and informative. At ART Evolved, Herman Diaz is back with a new pair of book reviews. this time, it's Dinosaurs and their Living Relatives and the unfortunately BANDit-friendly Outside and Inside Dinosaurs. In a fascinating post at Waxing Paleontological, Zach delves into the silesaurids, providing great context for why Silesaurus was such a lil' weirdo in 2003 and how further discoveries since then have shaped our understanding of these critters. Brian Engh has a brand new set of illustrations for the Bureau of Land Management, depicting the dinosaurs of the Copper Ridge tracksite near Moab, Utah. Brian's made another terrific video explaining the site and his thinking behind the sauropod trackmaker. Check it out at his site. Matt of SV-POW featured it, as well. Part 2, featuring the theropod trackmaker, will follow soon. And speaking of tracks, it's "Name That Track!" The hottest ichnology-based game of the year, hosted by Lisa Buckley. Mark Witton was one of the presenters at a recent workshop entitled Popularizing Palaeontology. 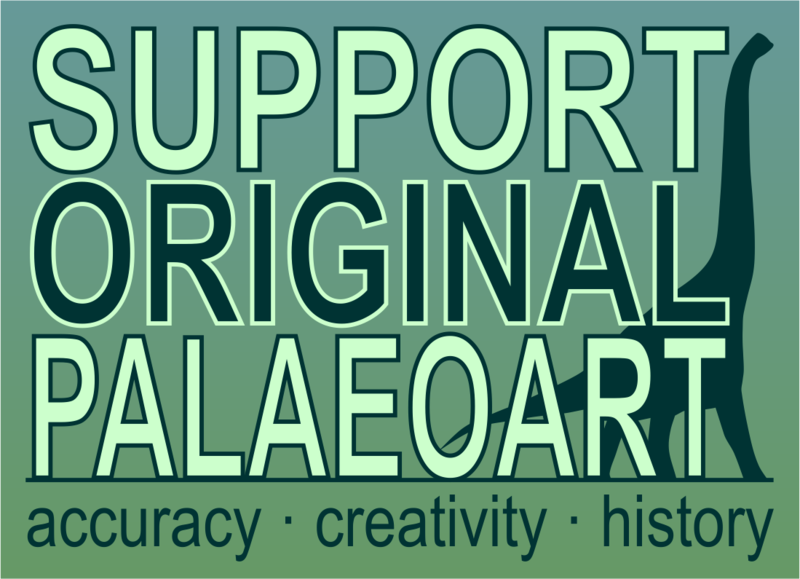 At his blog, he expounds on one of the recurring themes of the event, concerning the positives and negatives of the long shadow dinosaurs cast over palaeontological outreach as a whole. His conclusions certainly line up with what I've observed in the instances when I've talked dinosaurs in public. This month, I'll suggest sending some support the way of Thagomizers, Scott Potter's video series that explores the intersection of science, art, and culture in how we understand dinosaurs. They've got a Patreon page for ongoing support, and they're getting close to one of their $20 monthly goal, which would allow for an Adobe AfterEffects subscription to help with production. If you've not seen any of their videos yet, here's one of their to show the quality of work. DeviantArtist Kirby, AKA KirbyniferousRegret, is building an impressive body of work. This recent Eoraptor family illustration is a masterpiece, with loving attention to textural detail. 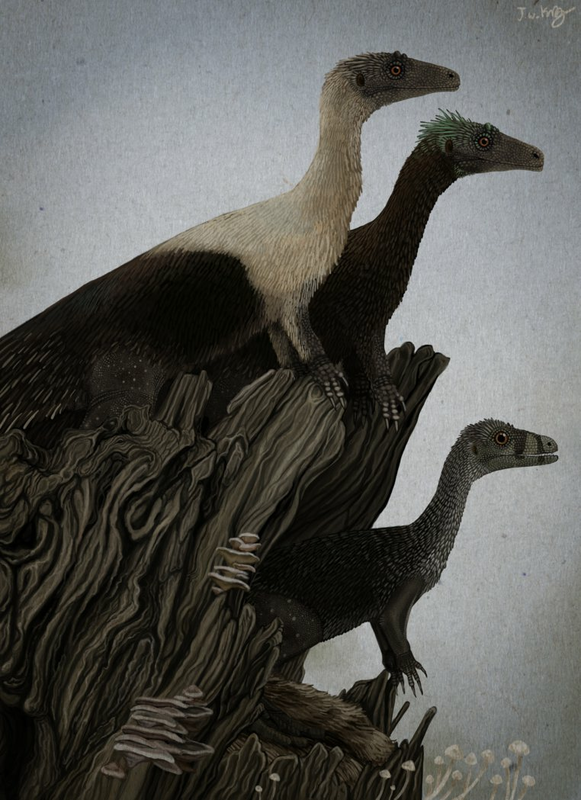 Eoraptor Family by Kirby, used here with the artist's permission. Follow Kirby's work on DeviantArt and Twitter. And remember, sweethearts: don't steal art!